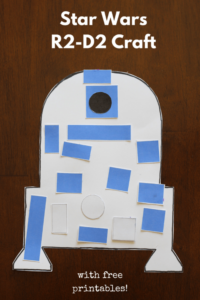 This Star Wars R2-D2 craft was a big hit with my son and he doesn’t usually like crafts. He was very proud of the R2-D2 he made! 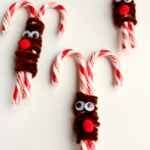 This post is part of the Star Wars Blog Hop. 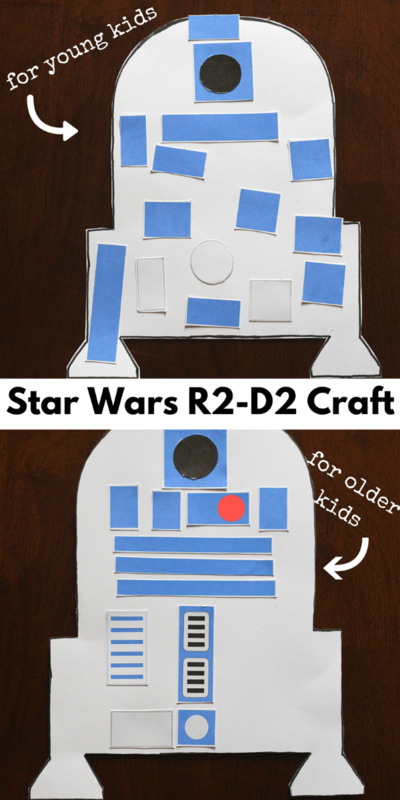 A bunch of my fellow kid bloggers have joined together to bring you lots of fun activities with a Star Wars theme. Make sure to check out all the other posts below! 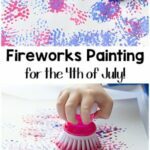 My son doesn’t like to do crafts very often, but if I find the right craft he is all over it. This was definitely the right choice. A big appeal for him was that he was going to be making a Star Wars character. On top of that, he enjoyed that it was open-ended. 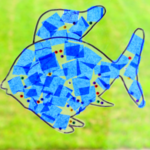 He had freedom to put the shapes where he wanted. I did let him look at a picture of R2-D2 because he wanted to use it as a guide. 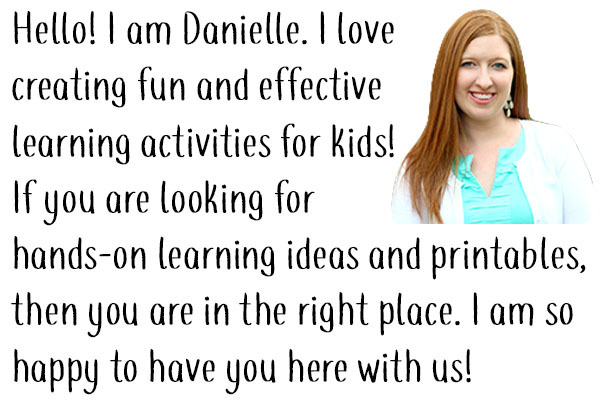 I wanted this craft to be easy for all of my followers to do with their kids or students, so I made printables to help you. Now, I am not an artist by any means. I can’t draw well AT ALL. So I tried my best to make a template for you. It is far from perfect, but my son doesn’t know any different. You can print it on card stock, cut it out and use it as is, like I did. Or you can print it and trace it onto poster board or something like that. 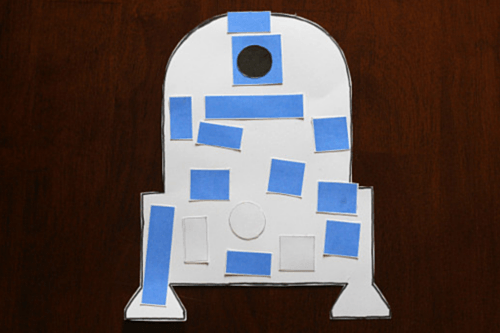 I also made printables with shapes that can be cut and glued to the R2-D2 template. I have two options. 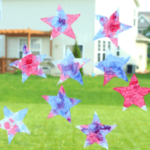 One is for younger children and is a bunch of shapes that are slightly larger and easier to cut out and handle. The second option is for older children. 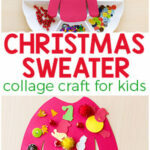 The shapes have extra details to make it look more realistic and the pieces are smaller. Evan made the easier version and I did the more detailed version. Check them out below! Once you have everything printed, it is time to cut everything out. 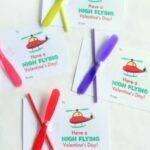 I chose to cut all the pieces ahead of time and kept them in plastic baggies until I was ready to do the craft. 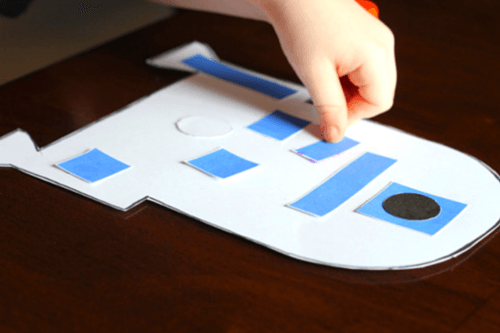 Evan still struggles with cutting out small shapes like this, so that worked best for us. If your kids are older and cut well, you can let them cut everything out themselves. If they are younger, I would recommend cutting everything yourself and just letting them glue everything on. My son still enjoyed gluing everything and deciding where he wanted to put each piece. Handling the pieces, putting glue on them and positioning them correctly was excellent fine motor practice for him. He was very excited with the way his R2-D2 turned out! He even played with it like it was an action figure! 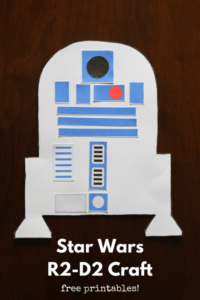 Check out all of the other awesome Star Wars activities for kids!